This is worth every penny. The taste is noticeably improved from our Brita. The filters are very slow to fill so a full upper tank will take 8 hours to purify the lower tank. I was so looking forward to setting up and using my new Berkey. However, the package is missing the fluoride filters and the stainless steel spigot. I am very, very disappointed. I love my Berkey, it’s a super great product. But the seller opens the box and puts the “bonus” items inside the Berkey. It felt a little weird when I got a box that had been opened and taped back closed, but it kinda crossed the line when I found greasy finger prints on my new $300 stainless steel filter. For that reason, I’d say the world’s best water filter from someone else. The metal valve is kinda nice, and looks a bit better than the default plastic one (which you still get in addition to the metal one), but functions the same. Because it sits right next to the black base, the black and metallic both look fine. As for the Berkey itself, the charcoal filters make the purist water ever. It’s such a great solution for counter-top filtering. 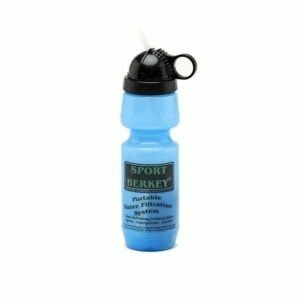 I still prefer the taste of a really nice (expensive) spring water from a glass bottle (like Acqua Panna); the minerals in spring water add a bit of pleasant taste that the absolutely pure Berkey water lacks. But if you’re comparing it to water that comes in a plastic bottle, or out of a Brita, there’s absolutely no comparison, the Berkey is the clear and away winner. Wise choice to have when you see all the flooding going on down south! I love this water filter. Holds 6 gallons and looks great in my kitchen. I only drink water that comes from this and use it for cooking and everything bc my township puts fluoride in water and this filters it. I usually have to refill it once a week (i drink a LOT of water). I highly recommend this. 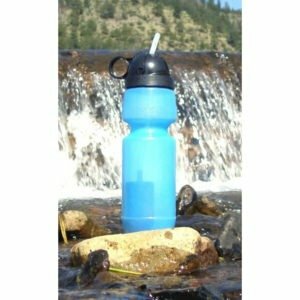 It saves money in the long run by not needing to buy bottled spring water all the time. However, I could never clear the fluoride filters out enough to not taste the bitterness from the filter dust. It tried a bunch of manual flushing and 10 batches of water, but I could still taste bitterness in the water. I eventually just gave up on them and used the charcoal filters alone. I don’t really care about fluoride filtering anyway, so I’m not disappointed. Though I could have saved a few bucks if I bought a Berkey that didn’t come with a set. We absolutely love this filter. We bought the big one so we would have constant water. So glad we did. I received my Berkey anxiously and put it to work immediately. My water smells “swampy” right out of the tap. The smell is removed once filtered. I am pleased to report that this product operates as described. The stainless steel dispenser is pleasing to the eye. I did elect to get the optional sight glass. However, I removed it and put back the original spigot. The sight glass starts to leak out of the top of the sight glass when more than approximately 3 gallons are in the bottom tank. I prefer to fill my Berkey at night and have it filter while I sleep. All of my water for cooking goes through the Berkey. I have a ppm meter but haven’t recorded the difference between the Berkey, Tap and Ozarka (Delivered Water). The smell test is enough for me to use the water for cooking/coffee. I am more interested in Fluoride removal and will buy the appropriate filters for that purpose in the future. I highly recommend this system. I ordered the Crown Berkey last year and have been using it since then. It arrived within the specified time in great condition. I had ordered 2 additional black ceramic filters to use in the Berkey and those arrived in the same package as well. It is so easy to assemble..I had it together in less than half an hour. 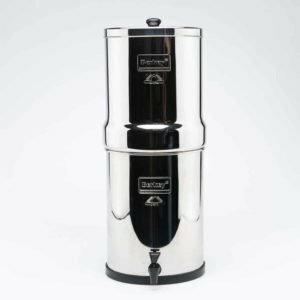 No electricity required for the Berkey to do its job and those ceramic filters last for years with minimal cleanup required every few months. The water from the Berkey definitely tastes better than water straight from the tap. 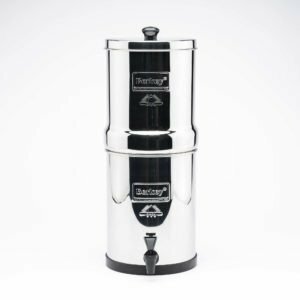 It is easy to refill…although I don’t have a sink hose that can be used to add water directly to the Berkey, it is no problem using a jug to add water. Since I have the Berkey kept on my kitchen counter, it is not possible to look into the chamber from above unless I hop onto a chair or something but instead, I just hold the reflective lid above the Berkey to see what the water level is at. The Berkey has already paid itself off. I don’t understand how people can continuously buy those gallon bottled water seeing that it all adds up expense wise and also all that plastic is detrimental to the environment. Also, who knows whether that bottled water actually lives up to the claims on the labels. I just need to get 2 Fluoride filters to add into the Berkey and then I will be all set. Everyone should own a Berkey. Huge difference from even the filtered frig water. Helps with peace of mind, as you never know what’s even in your tap water. After coming to visit, we have plenty of friends and family investing in a Berkey too, as the water just tastes so much better. One of the best purchases I’ve ever made! We had a distiller for years and it worked great, but now, the berkey makes more water per day. Needs no power to work, and the water tastes great! I would recommend it to everybody! I am very pleased to have this filter. It works great to just use for your regular water in your house. Also good to have as a stand by filter for if you have to use strem water. Great filter for the money. 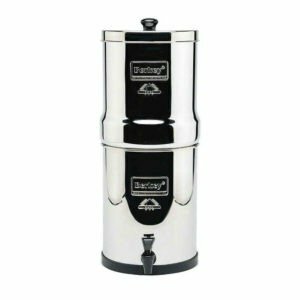 When the Berkey first showed up on my door step, I was a little bit panniked, thinking that I had bought the wrong size… it came in such a small box… but the top canister was nestled inside of the bottom canister, with all the small pieces inside of that… I could not be happier with this awesome water filter! Q Is there any issue keeping this in the fridge? Q how long does it take to filter 2 gallons of water? Q how do you know when to change filters? A Typically you will see 6000 gallons for a set of black filters and 1000 or one year for the fluoride filters. When you start to notice the filters stop filtering water, and cleaning them and repriming does not help, that is when you will need to replace them. Q It is 19 inches tall and 7.5 inches in diameter. A Hmmm that's really strange. I don't have this issue and I have had mine for almost a year. I have the 6 gallon. We absolutely love it. It makes the cleanest water. Are you using mineral rocks? If so it might have a strange taste. I would contact the company because the water shouldn't have a taste otherwise. Q What is the height of the travel Berkeley? A It is 19 inches tall and 7.5 inches in diameter. Q Does it remove flouride? A The PF-2 Fluoride filters that come with this unit will remove fluoride at 95%. Q Will this do anything to make flood water which obviously contains gasoline, oils, sewage, and other urban contaminates ok to consume? 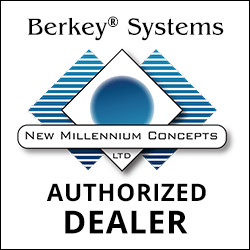 A You would probably get a more authoritative answer calling Berkey at 800-350-4170. Their contact info is on their website at berkeyfilters.com. I'm curious as well. Q berkey stated today the black filter removes even nitrates, floride and arsenic so I am confused as to why they sell these other white filters then? A The black filter is a carbon filter and may remove nitrates, but does not remove fluoride and probably not arsenic. But the white filter is an ion exchange filter and removes any remaining contaminants, including fluoride, arsenic and nitrates. A The three gallon (Royal Berkey) is 24 in. tall and the diameter 9.5 in. The 4.5 gallon (Imperial Berkey) is 27 in. tall and the diameter10 in. 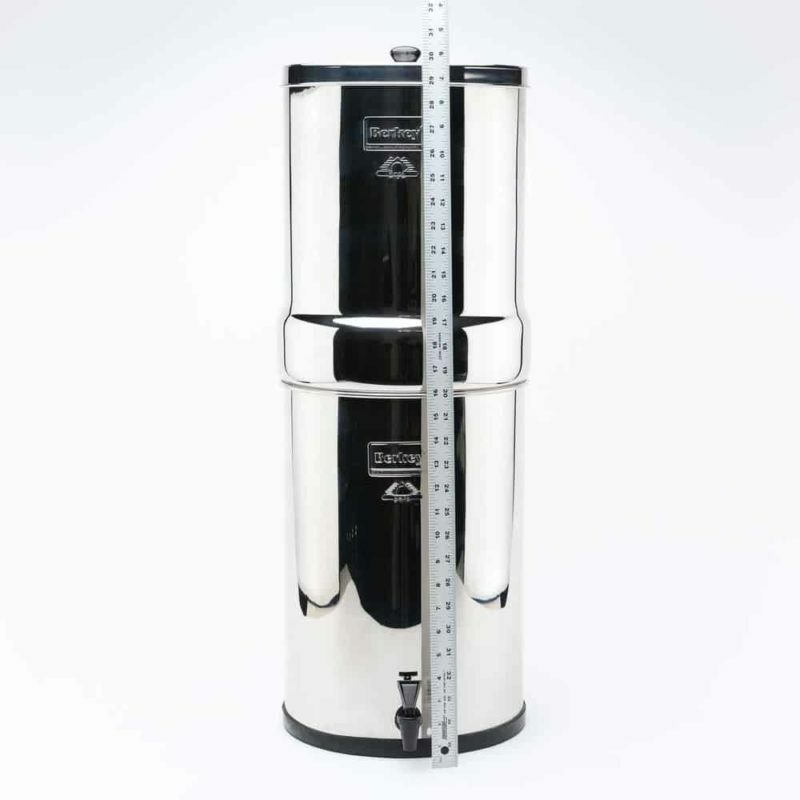 The six gallon (Crown Berkey) is 31 in. tall and the diameter is 11 in. Q Why isn’t all of the water in the upper and lower chamber dispensing? A There are about two inches of space below the filter, where the base is. The water in the upper chamber cannot go through that base of the filter. In the lower chamber, there is about an inch of space below the spigot that cannot be dispensed. A The measurements are: 8" wide by19" tall. This purifier is serving us well. It can handle about two to two an one quarter gallons a day. I. hope this information helps you. Enjoy! Q As i am assembling it i read in the instructions that hole plugs are not included. am confused, there are 4 holes and 2 elements. what do i do? A There should have been two rubber cork style plugs or two plastic screw in plugs included in the box. Q Are the flouride filters the same ones that also filter arsenic? A Yes. The fluoride filters will remove pre-oxidized arsenic 3 and 5. Q Does this filter remove chlorine? A The black filters remove chlorine at 99.999%, the additional white filters included in the bundle are used to remove fluoride from the water. Q What is the country of origin? Q I'm confused by the setup. Does it need to be hooked up to a water source or can I just pour in myself. Want this for a stand alone coffee station. A Hi Susan, You do not need an in-line water source when setting up the big Berkey. 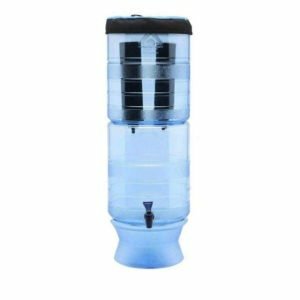 You manually fill the top cylinder and the water filters down to the bottom half and you can dispense the filtered water through the spout. Q Does the Berkey remove nitrates from the water? A I'm pretty sure it does, but you might want to check with Berkey on that. Q Is there a reason why someone would want to get the fluoride filters? A I definitely recommend filtering out fluoride; while the research is mixed, there is ample evidence that suggests organ and gland dysfunction, including those related to thyroids, adrenals, etc. are directly effected by prolonged exposure to fluoride. It is such a small particle that most filters cannot efficiently extract it, so it's something to consider, if not just for fluoride concerns, but for other tiny toxic particles, like arsenic as another reviewer mentions, which cannot be addressed by traditional carbon or like filters. 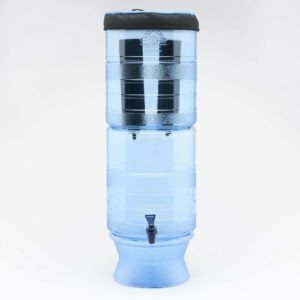 Q Does this water filter remove pestcides, insecticides and herbicides....along with rust (iron) from well water? A Yes it does. according to berkey it will remove all of that stuff to the point a lab can not detect it. as for rust i have horrible rust from my well and it removes it completely. i do have to clean the filters about once a week because the rust will collect on the outside and slow down the filtration. it only takes about ten minutes to clean and the filtered water is perfect whether filters are cleaned or not. Q How often do you clean the reservoirs? Q Do you have to have the priming pump to get this going? A No. The priming pump does make things easier, but I own two big Berkeys and have primed them both without the priming pump. Q I would like to know how tall the travel berkey is and what its measurement around is. please do not respond with "speedy delivery, works great."? A The Travel Berkey is 19 inches tall and 7.5 inches in diameter. 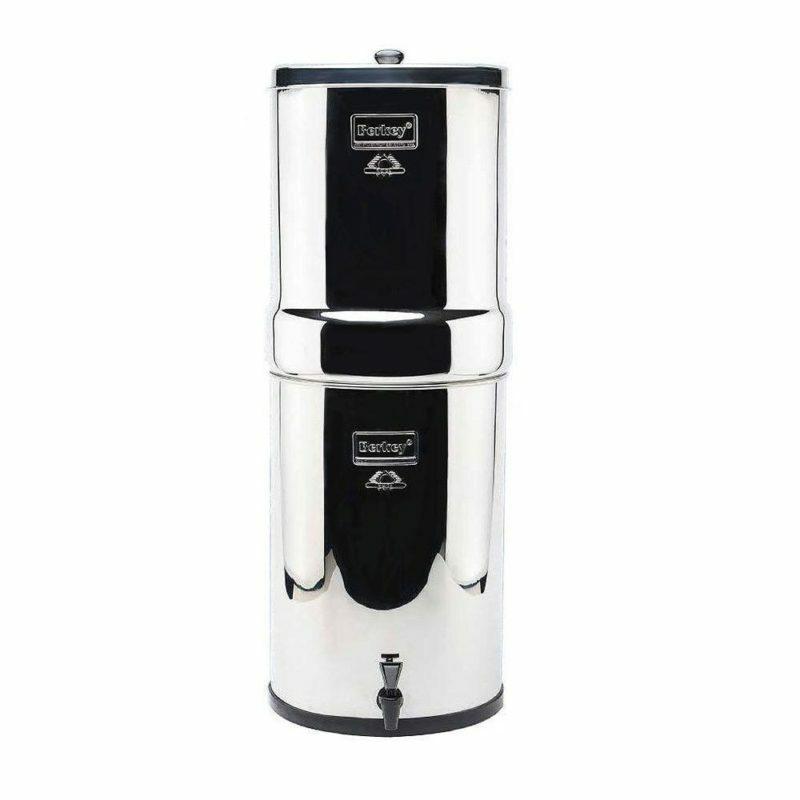 A This is a genuine Berkey product and will come with hole plugs. 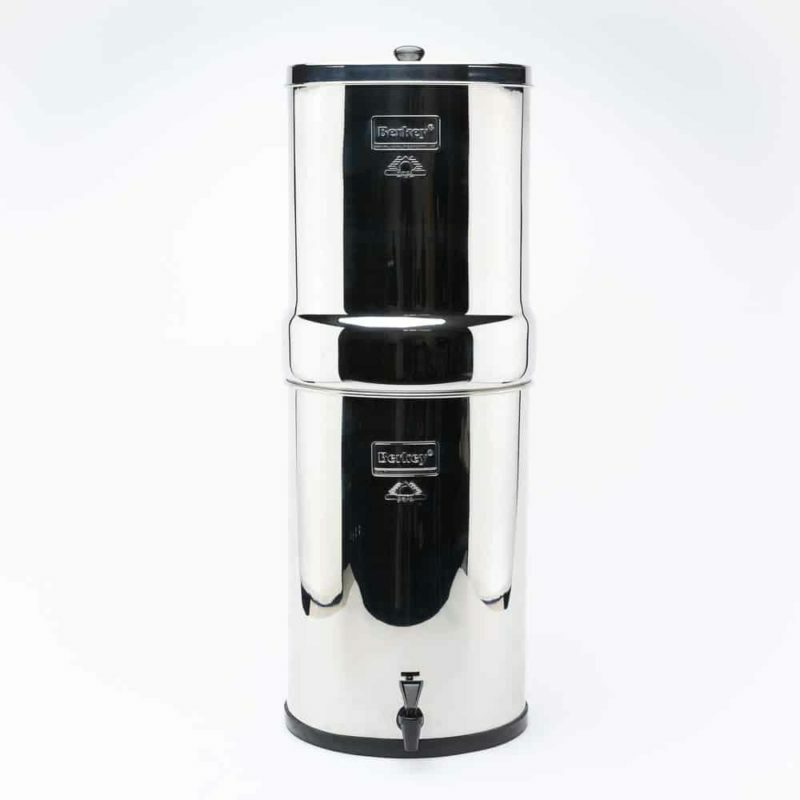 Q What are the outside dimensions of the big berkey after assembly? How much space it is going to take and will it fit under the upper cabinets? Q What kind of stand do I need to purchase for this to sit on if I want it on the ground and not on the counter? Q can the company provide a certifaction fact sheet? 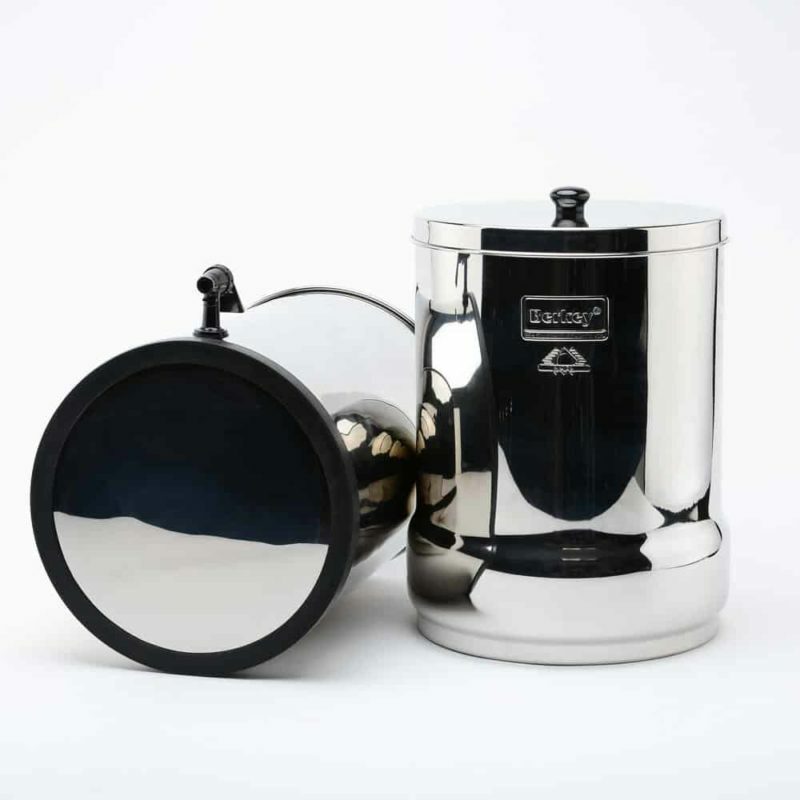 A Berkey Filters has all of the test results for the black filters posted on their website. Q If I berkey filter clean rain water would this be considered "distilled water"? A No, but it would be similar to distilled in terms of purity. Q What's the right size for me? I'm a single guy and my current other brand water filter is about 1.5 gallons and I fill it on average once a day. 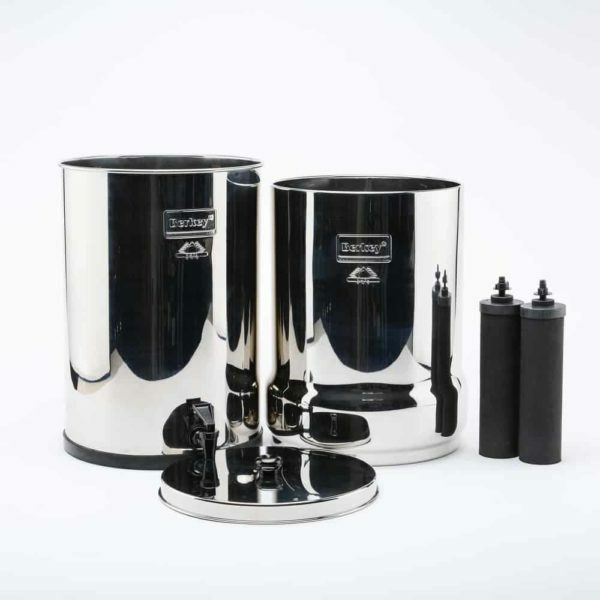 A The Travel Berkey would be perfect as it holds 1.5 gallons of water. A Due to state legislation, only outdoor units can be sold to residents of California, including the Travel Berkey and Berkey Light. However, Amazon does not restrict the shipment of products to any state. Amazon leaves the responsibility to the consumer to know and comply with all state and local regulations. If you have additional questions, we would suggest consulting legislation for your local municipality and state. A Oh yes. Very easily. Keep the box if you can, but it comes apart in 2 sections. Once the water is out, they are light and easily moved. Q Has someone independently tested the fluoride content of the water from the filter they own? A I haven't tested mine. I stopped using the flouride filters completely because they left a strange film on the water and Berkey customer service was not able to tell me what it was. I believe other online forums suggest it's some sort of alumina. Q What are the outer dimensions? How much space will it take and will it fit under the upper cabinets? Q Does it remove radium? A Radium has been tested for and is removed with the black filters that come with this unit. Q does this unit come with a spigot? A Yes. It comes with a BPA free plastic spigot. Q Re: lifetime warranty i don't understand why the purchaser would need to contact the seller for a warranty ? A The lifetime warranty is not the same as the manufacturer's warranty. It is something that we offer separate of the manufacturer's warranty. Q Should i get the royal or imperial? we go through ~1 gallon a day. A Between the two the Royal is perfect. It holds 3 gallons of filtered water. You want to go through all 3 gallons within three days. If you will not, we recommend going down a size to the Big Berkey. Q do floride filters work along with black filters or in place of them? A You use both. If you use the floride filters you will use the black filters as well. Q I spoke with Berkey today who stated that the black filter filters out floride arsenic and lead as well? A That is what I have heard as well. We purchaded one a few months ago and have been very pleased. I have not done any of my own tests on it though, might be a good idea! Q The lid knob broke off the first day it was assembled. Can this be replaced? If not, I would like to return this. Q Is it possible to recycle the filters when you replace them? A The filters will have to be thrown in the trash as there is not a safe way to recycle them at this time. Q Does this filter out good minerals also? A I'm not sure, but I think it filters out all minerals. I suggest you check with Berkey. Q how tall is the system? A It is 21 inches tall when assembled. Q How much are replacement filters and how long do they last? A A new set of the Black Berkey purification elements are $107 and a pair last for 6000 gallons. The fluoride filters last for 1000 gallons and are usually right around $46. Q Is it a lifetime warranty if purchased on Amazon or only directly on the Berkey official website? A If you contact us through Amazon within 30 days of your purchase we can add the lifetime warranty to your order notes on the stainless steel units.